Living in Las Vegas one can't help but notice the "JANET" flights arriving and departing McCarran Airport several times a day but did you know why they call them "JANET"? According to legend the "JANET" call sign stands for Just Another Non Existent Terminal. It is also said to be the wife's name of a CIA agent in charge of "Area 51".... no-one knows for sure. The Janet missions started as far back as 1955 with the founding of the secret airbase "Watertown Strip", but eventually became official in 1972 with a single Douglas DC-6B, followed by an additional DC-6B in 1976. 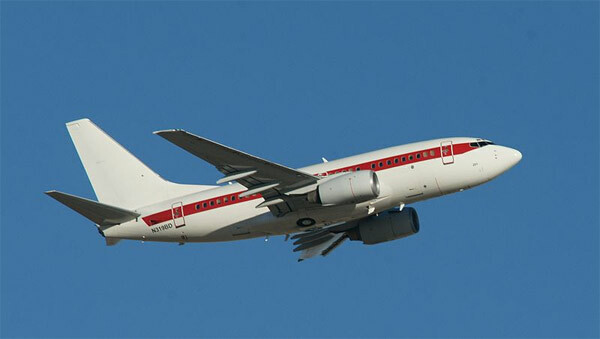 The current fleet consists of several Boeing 737-600's (painted white with a red side stripe). 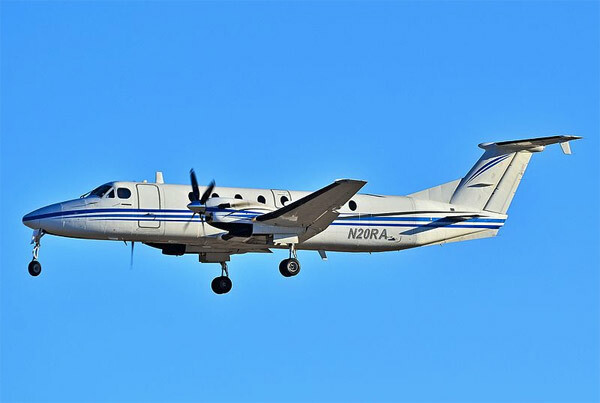 They also operate Beechcraft 1900 and 200 airplanes (painted white with a blue side stripe). Janets use the airline code WWW plus a three digit flight number however after handoff from approach or departure control the name often changes. Interestingly enough, there were never many Boeing 737-600's produced (only 69) with Scandinavian Airlines (SAS) being the launch customer in 1995 receiving the first aircraft on September 18, 1998. The final B737-600 was delivered to WestJet in 2006.